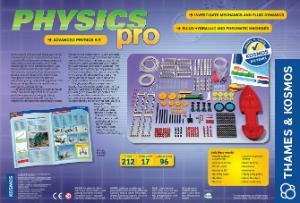 Physics Workshop Pro explores advanced subjects in physics. 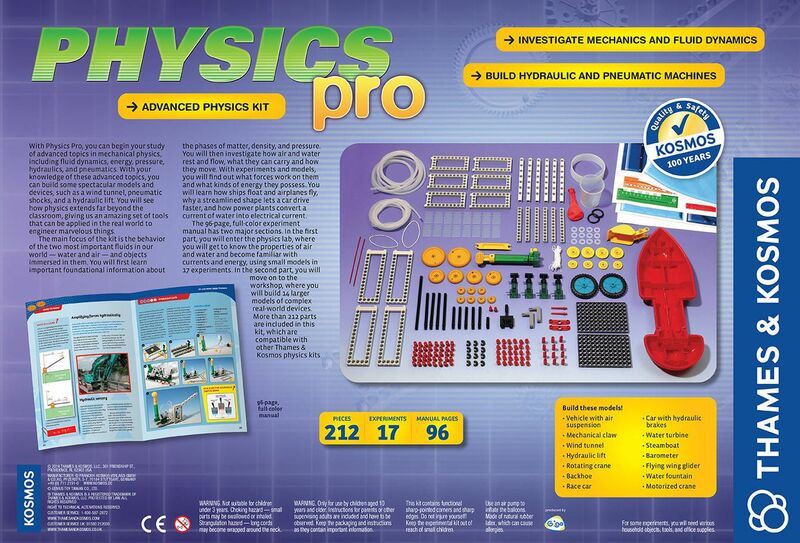 These topics include fluid dynamics, energy, oscillation, hydraulics, and pneumatics. With a grasp of these advanced topics, students can build spectacular models and devices such as a wind tunnel, pneumatic shocks, and a hydraulic lift. 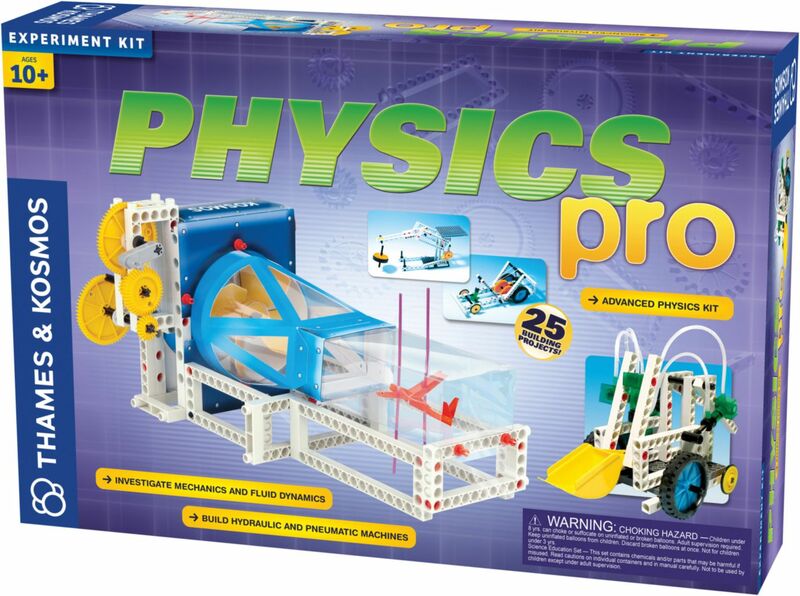 This workshop shows students how physics extends beyond the classroom to give us an amazing set of tools that can be applied to engineer marvelous things. The main focus of the kit is the behavior of the two most important fluids in our world, water and air, and objects immersed in them. Students investigate how air and water rest and flow, what they can carry, and how they move. With experiments and models, students learn how ships float and airplanes fly, why a streamlined shape can make a car drive fast, and how power plants convert a current of water into electrical current. The 96-page, full-color experiment manual has two major sections. 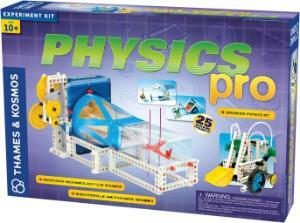 The first sections describes the properties of air, water, currents, and energy. It features 17 experiments with instructions for building smaller models. The second section includes instructions for building 14 larger models of complex devices. 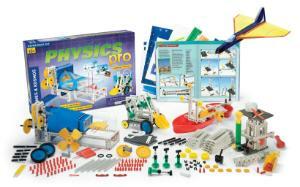 This kit features more than 212 parts.